Suspension performance like never before! Motorex racing Fork Oil with the new “3D Response Technology” has been developed in collaboration with chassis specialists, leading racing teams and professional sportspeople. 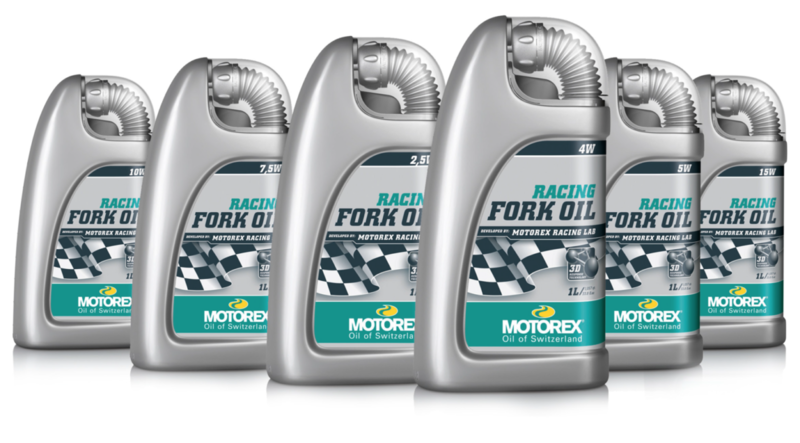 The Motorex 3D Response Technology is the culmination of extensive testing, research and development work, creating a perfect balance of the many special properties that a modern fork oil must have. The new fork oil boasts a special molecular structure that facilitates innovative damping behaviour. This means that tractive and impact forces are no longer diverted along a zig-zag path like an accordion, but instead directed through a multi-level grid structure. The three dimensional structure of the new molecular composition forms the basis of the 3D Response Technology. The fine graduation of the viscosity classes ensures full compliance with the manufacturer’s specifications. 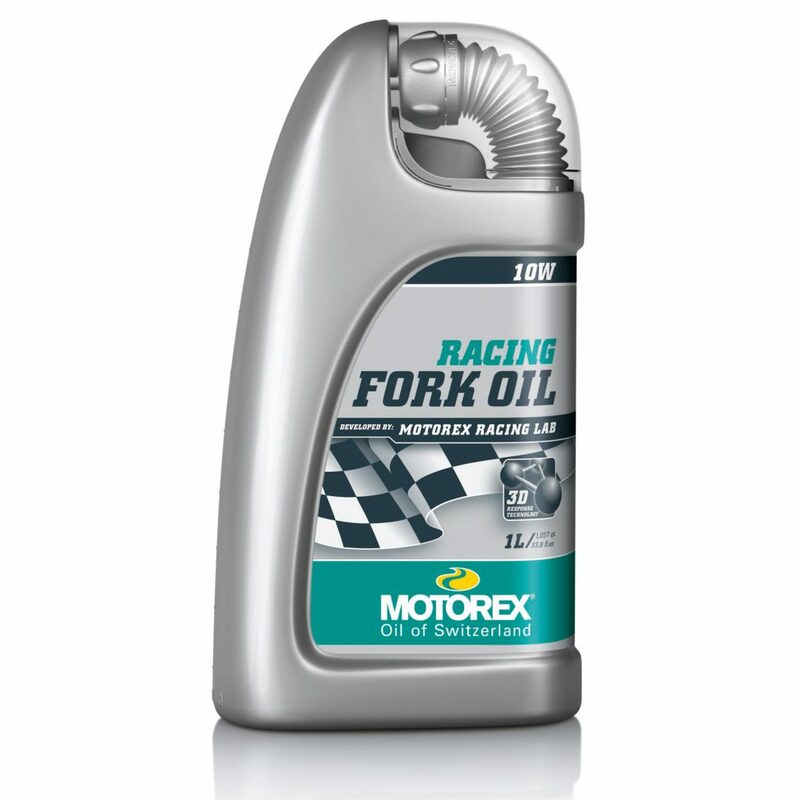 Motorex Racing Fork Oil has been specially developed for modern fork systems with the highest demands. This enables the fork settings and the right oil to work in perfect harmony, giving the driver optimum feedback from the chassis – both on and off roads. The new Motorex Racing Fork Oil significantly reduces stiction and friction. In comparison to previous versions of the Racing Fork Oil, the new technology reduces friction by 40% and reduces stiction by an unbelievable 80%. WE’RE ENTERING INTO A NEW AGE!